واجب WAJIB 96 mins., debuted at Locarno, and was in at least 40 other international festivals in 2017 and 2018. 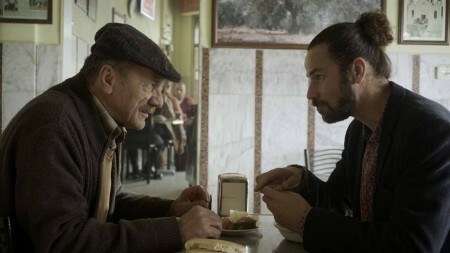 It was screened for this review as part of the San Francisco International Film Festival, Apr. 2018. Pyramide International is the distributor, but no US release seems to be in sight, so I'm publishing my full review now, 5 Aug. 2018, on the one-year anniversary of the film's Locarno debut.